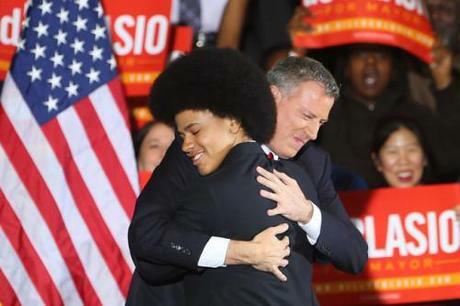 Bill De Blasio is Elected New York City Mayor! In August, we suggested you learn more about Bill de Blasio, showing our support for the once little known mayoral candidate! Well… we’re not saying the stamp of approval from MKB made all the difference but every little bit helps! Last night, Mr. de Blasio, the city’s public advocate, defeated Joseph J. Lhota, a former chairman of the Metropolitan Transportation Authority, by a margin of about 49 percentage points, with 99 percent of the vote counted. “Make no mistake: The people of this city have chosen a progressive path, and tonight we set forth on it, together.” Continue reading about Mr. de Blasio’s sweeping victory via The New York Times. Delicious Southern Caramel Cake Recipe!